It wouldn't be wrong to say the Bajaj Avenger was the motorcycle that introduced the masses in India to cruiser motorcycles. Well, to be honest it was the Kawasaki Bajaj Eliminator that was India's first, small capacity, low slung cruiser. But being a Kawasaki product the bike was expensive for its time, which had Bajaj plonk the Pulsar 180's engine into the bike in 2005 and launch it as the Avenger. Since then the Avenger has seen several changes of heart  the engines have only gotten bigger  the 180 was replaced by the Pulsar 200's engine and then the 220's. 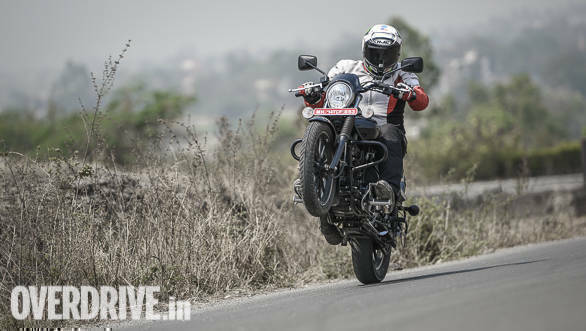 That was the case till Bajaj expanded the family by adding the Avenger 150 to the line-up in 2015. And now, 13 years later, the Avenger 180 makes a comeback. 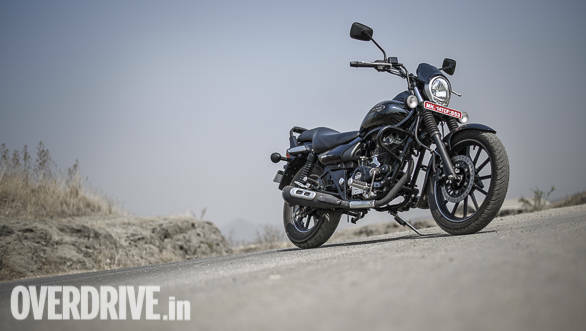 Bajaj believes in the adage  there is no replacement for displacement and felt there was room to replace the Avenger 150 with a slightly larger engine to offer more performance, hence the 180. We spent a couple of hours riding the motorcycle to see what it feels like. The 2018 Avenger 180 is the entry-level Avenger now and is on offer in a 'Street' guise only, so if you want an Avenger 'Cruise' you need to look at the 220 with the taller handlebars and windscreen. The Avenger 180's styling is identical to the 2018 Avenger 220 Street's that was launched last month. 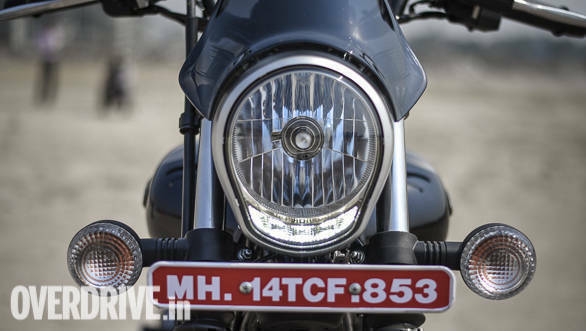 The Avenger 180 thus gets the same, oblong-shaped headlamp unit integrating a round headlight and LED DRLs underneath and a small, smoked flyscreen above it. The overall design hasn't changed though  the fuel tank, seat, tank mounted fuel gauge and tell-tale lamps and alloy wheels are all the same as before. The tail lamp gets a revised design and the pillion grab rail is a taller, padded unit now, which Bajaj tells us is basis customer feedback. The Avenger 180 though misses out on the 220's all-digital instrument cluster  to keep costs down  and continues with the older Avengers' single pod analogue cluster that integrates a tiny digital display for the trip/odometer. Given its urban focus the Avenger 180 gets blacked out treatment which means the rear view mirrors, alloys, forks, rear shock absorbers, engine and exhaust are all finished in matte black. The front forks continue to use rubber bellows and on the whole it is hard to not notice the similarity to the Harley-Davidson Street 750's front end. What's even more noteworthy though is the fact that the Avenger 180 is a good looking motorcycle even today, thanks to the minor revisions all round, despite the bike's original design being nearly two decades old! In theory, the Avenger 180 is powered by the same engine it was powered by back in 2005, but in reality there's very little connecting the two motors. Bajaj Auto has been working consistently on fine tuning its engines over the years and we have seen all its engines get refined incrementally. So the engine on the new Avenger 180 is a lot more refined and vastly improved as compared to the old engine. It is also in a slightly different state of tune as compared to the Pulsar 180  power and torque figures for the Avenger 180 stand at 15.5PS and 13.7Nm as compared to 17PS and 14.2Nm for the Pulsar. The idea here was to offer a stress-free feel considering the Avenger is more laidback unlike the Pulsar which is intended to be aggressive. And that's something I noticed once I started riding the bike. The Avenger 180 feels calmer and the engine remains vibe free unless you're aiming for the redline. The bike feels reasonably quick despite the slight drop in outputs and like most other Bajaj engines the highlight here is the strong midrange. There isn't too much shove at the top of the rev range and the Avenger 180 is best ridden with the throttle partly open. 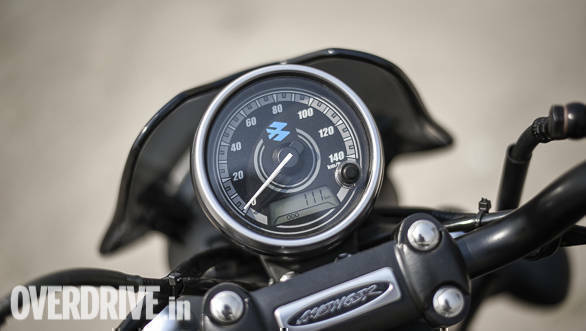 The Avenger 180 was in fact happiest doing about 90-95kmph on the highway, as vibration was beginning to creep in post that, particularly from the left footpeg. Better vibration damping should take care of that though. I managed to close in on 120kmph on the speedometer but the fun was in staying just a shade under 100kmph. The chassis and suspension have been carried over as is from the Avenger 220 which means the ride and handling package is the same, appreciable one. That said, all Avengers now boast additional 10mm travel for the rear suspension, which should improve the ride on bad roads. The suspension setup is on the firmer side to offer likeable handling, though thankfully that does not come at the expense of a good ride quality. The Avenger 180 has no trouble soaking in bumps and potholes and stays planted over undulations as well. It should make for a likeable motorcycle for riding distances given the speeds it can sustain, but I suspect the seat is a tad firm for the purpose. A slightly softer seat compound should help in make the Avenger 180 better for spending long hours in the saddle. Braking prowess from the 260mm front disc brake is adequate but I think it's time now for Bajaj to offer a disc brake at the rear as well. 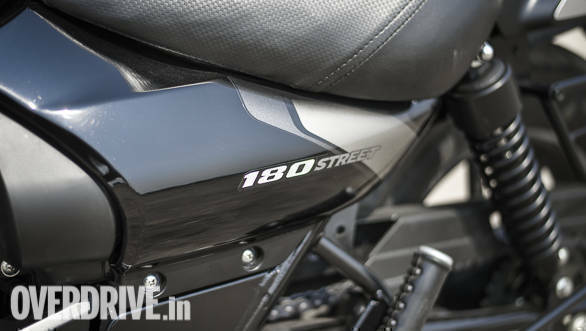 The 180 is an interesting addition to the Avenger family as the bike offers a better blend of performance, comfort and efficiency than the Avenger 150 it replaces. Bajaj Auto says the Avenger 180 will return about 45kmpl in the real world, which is a number good enough to live with. The biggest highlight though is its pricing. 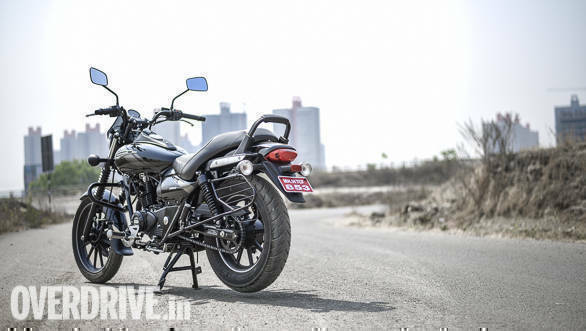 Retailing at Rs 85,498 ex-showroom New Delhi the Avenger 180 costs roughly Rs 10,000 less than the Avenger 220 while undercutting the Suzuki Intruder 150 by about Rs 15,000. 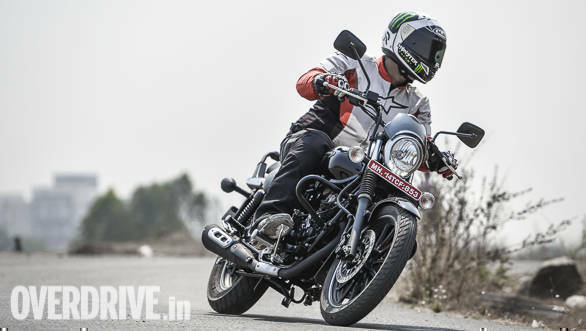 These are big differences for buyers looking to spend about a lakh rupees on a motorcycle. 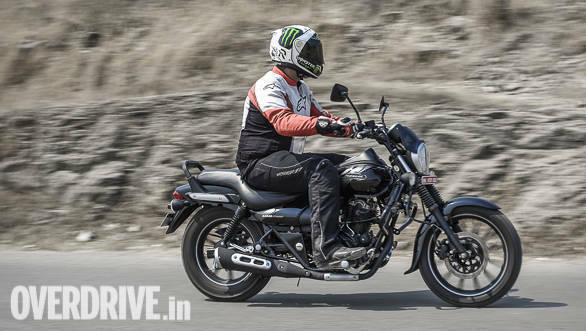 At its price the 2018 Bajaj Avenger 180 does seem to offer impressive value for money. An exhaustive road test and a full-blown comparison test should help us decide better.